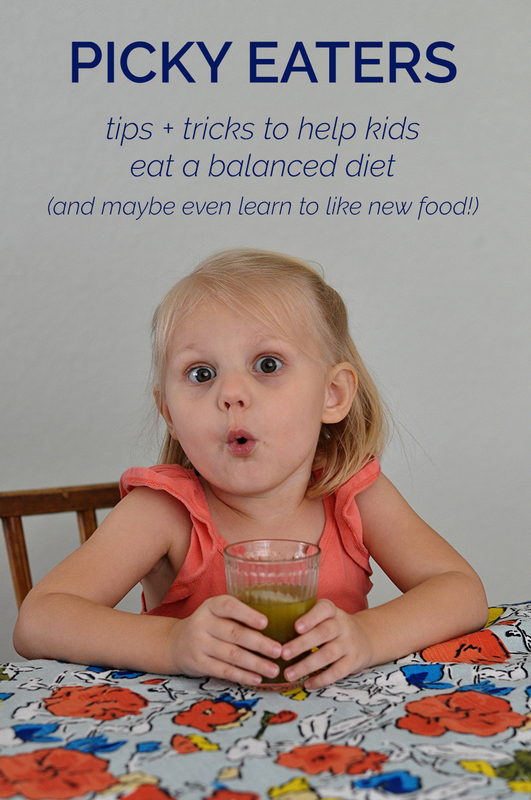 Helping a Picky Eater Eat a Balanced Diet (and maybe learn to like new food!) - Real life, on purpose. Right now, Ryan is eating everything in sight. He’s at that delightful baby stage where he doesn’t discriminate and all food is awesome. I love it. Especially considering that Margot is…less excited about food. Mila? Sometimes she’ll eat stuff, sometimes she won’t. She’s had her extra picky moments. But having even just one picky eater makes mealtime more stressful than I’d prefer. Not that I’m surprised. Every kid is a picky eater at some point. Every single one. I don’t have data to back me up on that assumption, but I’m sure all the parents out there are nodding their heads in agreement because seriously. They all go through at least one phase where all the food is yucky. I also understand that sometimes it’s more than “just a phase.” I’ve got a friend whose son has had some SERIOUS food issues for a long time, and she has tried EVERY strategy out there. Therapy has helped. But he’s on the extreme end of picky eating. Food allergies, sensory processing issues, and other developmental complications can make things extra challenging for parents. For the majority, though, being a picky eater at one age or another is just part of being a kid. I think this applies to nearly every aspect of parenting, because some battles just aren’t worth fighting. You have to decide what is truly important…and be aware of the consequences you may have to face. Do you want to deal with a kid still at the dinner table at 10 PM because he refuses to eat his green beans? Are you willing to clean up vomit when you demand that your kid eats more of something, even though it’s triggering her strong gag reflex? (True story. I learned my lesson) Sometimes you stand your ground. Other times, it doesn’t have to be a big deal and you can let it go. For me, this has been a learn-as-you-go kind of thing. I can’t tell you which battles to engage in or avoid. Just be sure you choose wisely. On to more easily applied suggestions! Things like casseroles, enchiladas, pot pies, and pasta bakes? Margot hates all of them. Even when she likes each of the components of a meal—because she ALWAYS asks, “What did you put in this?”—she refuses to even try it. She will scarf down all kinds of foods…as long as they aren’t all mixed up with other foods. Therefore I’ve stopped serving it to her that way. Instead, I set aside small servings of certain ingredients as I’m making dinner. So, for example, if David and I are having steak quesadillas, the girls eat steak, cheese, raw bell peppers, and tortillas. I serve pasta without the sauce on it. We build our own salads at the table. It’s a really simple practice, and this way I don’t have to make anyone a different meal that they will eat. Everyone wins. Provide options you know they’ll eat. There are some foods I know Margot will always eat: biscuits, strawberries, scrambled eggs, pancakes, yogurt, and a handful of other things. Whenever possible, I try to include one of her favorites with our dinner. Serve veggies that don’t look like veggies. You know I like my green smoothies for that very reason. Zucchini muffins are also great for this. 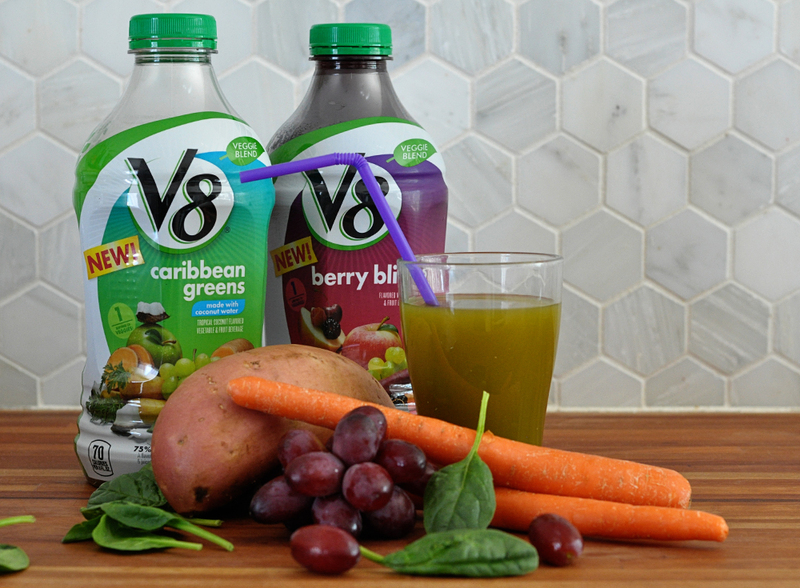 Our more recent favorite way to serve vegetables is in a glass of V8® Veggie Blends: Berry Bliss and V8® Veggie Blends: Caribbean Greens. I’ve always liked the V8® fruit juice options, so I’m not surprised that these are equally awesome. Mila’s favorite is “the red one” and Margot prefers the green. 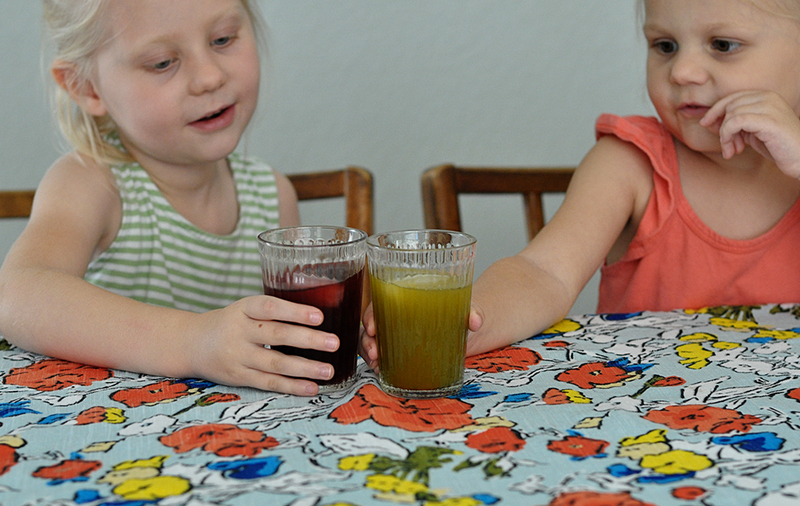 I love that they’re happily drinking fruits and vegetables they would otherwise snub. (Sorry, sweet potatoes.) Neither flavor is too sweet, thanks to a full serving of veggies in each 8oz. serving and no added sugar. When they drink some V8® Veggie Blends with their lunch, I know they’re getting around 60 calories of nutritional goodness, with no artificial colors, flavors, or preservatives, so I don’t mind as much that the rest of the meal is plain cooked pasta and cornbread. Confession: we actually polished off two 46oz bottles (one of each flavor) before I had a chance to take photos for this post, so I had to go back to Walmart to buy more…and we’re almost out of the Berry Bliss again! It’s super affordable too, so I may just start keeping our pantry stocked V8® Veggie Blends at all times. Change the way you describe certain foods. Ever since I read Dinner A Love Story, I’ve been telling my kids that tortellini are “little pasta presents.” Margot literally eats it up. “A present? For me? WHAT’S INSIDE? !” She pulls the things apart and gobbles them down. For the longest time my girls thought “popsicles” were frozen tubes of Greek yogurt. They like to open up sugar snap pea pods to eat the “tiny baby peas” inside, and they’re more likely to eat broccoli if we talk about dinosaurs eating trees. Sometimes you have to act like a hipster restaurant and use some creative vocab so your food appeals more to your audience. This way I know they’re at least being exposed to lots of flavors and textures. Often, with enough tries, they’ll admit that “it’s not that bad” and maybe even “I kind of like this!” Sometimes we are all surprised when a dish becomes their favorite. Mila, for example, is a huge fan of split pea soup. Who would’ve guessed? And so we keep tasting. It’s still a struggle, but MUCH less of a struggle than getting a picky eater to finish an entire helping. To me, it’s worth it. 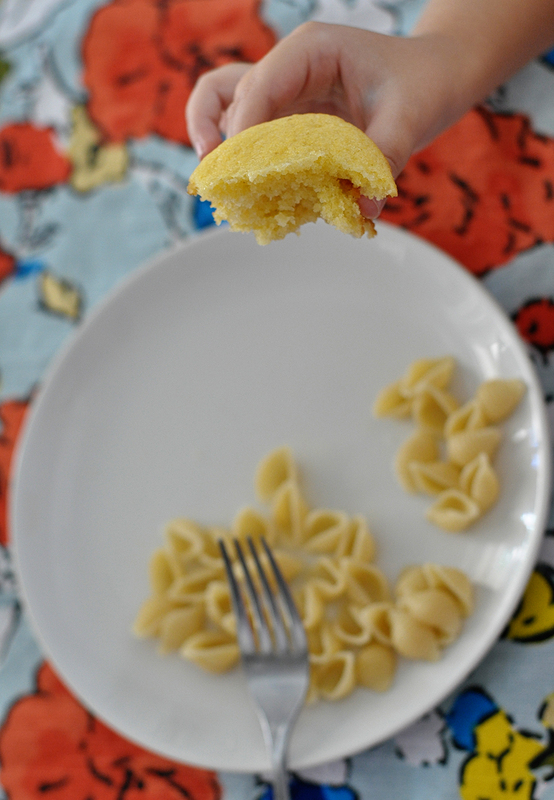 Ask your picky eater to help you plan, shop, and prepare meals. I am always entertained at how much my kids love helping me shop for groceries. A few months ago I took it a step further and asked them to help me plan our weekly menu. When I actually made the things they requested? It was like the best day ever! And while I really dislike having “helpers” when I cook, they are always so proud of themselves when they contribute to a meal. I once watched Margot grimace while she ate the carrots she’d put into our soup. She still didn’t like them, but she “cooked” them so she was determined to eat them. Letting them take ownership of their food counts for a lot. Consider food by the week instead of by the day. This is something my sister-in-law suggested when Mila was going through her picky-eater-toddler phase, and it’s genius. When I watched her over the course of a week, I noticed some days she would eat a ton and other days she’d eat hardly anything. On average, she was getting enough food. It just didn’t feel like she was on those days when she had only two bites of lunch. Since noticing that, I’ve felt less stressed about making sure my kids get x amount of veggies every single day. Some days all they eat is cereal and chicken nuggets. But if they have a big glass of V8® Veggie Blends: Berry Bliss or Caribbean Greens every other day, a green smoothie a couple times a week, veggies with dinner most nights, and a handful of cucumbers and/or peppers somewhere in there, I consider that fairly balanced. Having French Bread Friday also helps ensure they eat a fair amount of fresh produce at least once a week. It’s so liberating to take a longer view of their nutrition rather than nitpicking every meal. Keep offering a wide variety of foods. 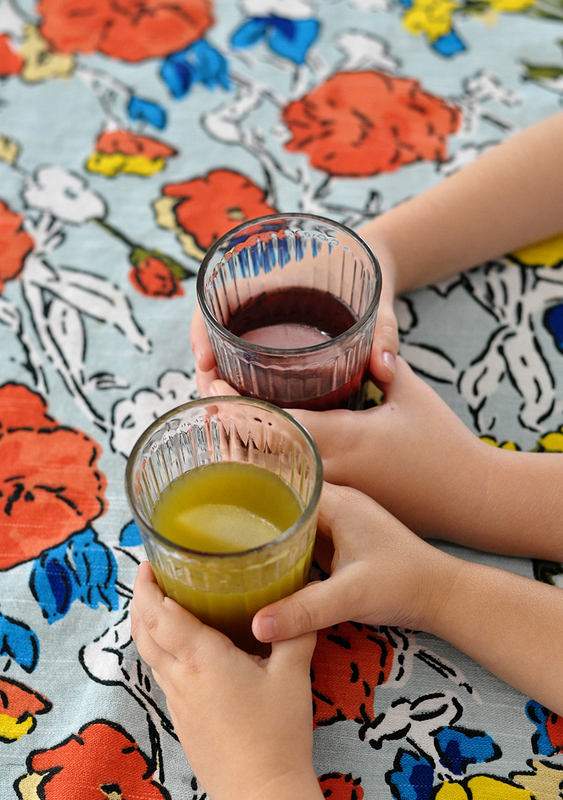 1) If I want them not to be picky eaters, they need to be exposed to a lot of different foods. Giving them their favorites over and over again only reinforces the idea that they don’t need to try new things, or that their favorites are the only “yummy” food. 2) If I make broccoli the same way every time, and they don’t like it, they’ll assume they don’t like broccoli at all. On the other hand, if I offer it in several different contexts, they’ll learn to determine more specifically what they like and dislike. Maybe they don’t like raw broccoli or they prefer it blended up in soup. I know I have preferences about how certain foods are prepared, but I wouldn’t know that if I hadn’t tried lots of options. 3) There are so many foods in the world that aren’t chicken nuggets! How will they ever know they like gyros or pad thai or butternut squash if they never get a chance to try those things? Feed your picky eater whatever they want. Hear me out! I’m not saying give in and let them have a french fry free-for-all. (Although if there was ketchup involved, Mila would be all over that.) What I mean is, maybe don’t insist all the time. As parents, we sometimes feel like we need to control SO MUCH, but honestly? It’s okay if we don’t. At the end of the day, fed is best. The girls get to pick their own breakfast, which 95% of the time is some kind of cereal. I also let them choose their lunch most days. Dinner is more of a “you’ll eat what we serve” situation. But this way, I only have to deal with a picky eater at one meal instead of all three. 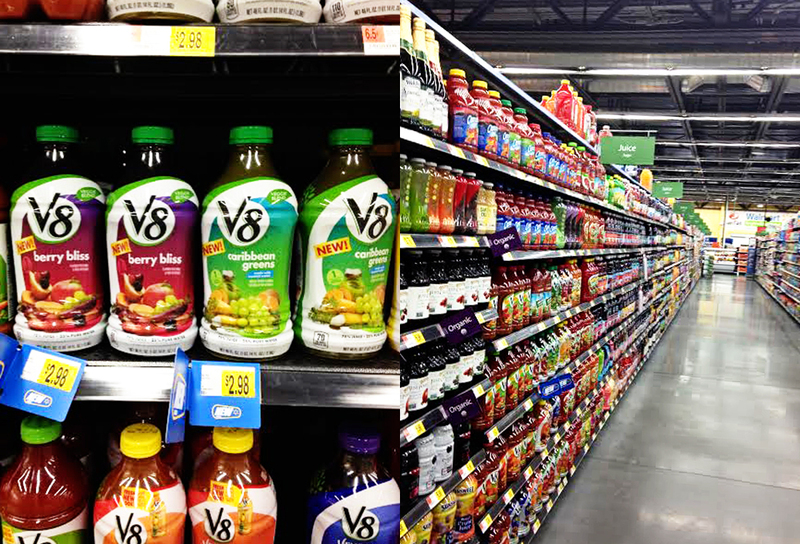 You can find V8® Veggie Blends: Berry Bliss and V8® Veggie Blends: Caribbean Greens in the juice aisle of Walmart, and you can check out V8® Healthy Greens, another awesome veggie beverage option, online here. Were you a picky eater? Do you have one at home? What are some tips and tricks you’ve used to ensure they eat a fairly healthy, balanced diet? 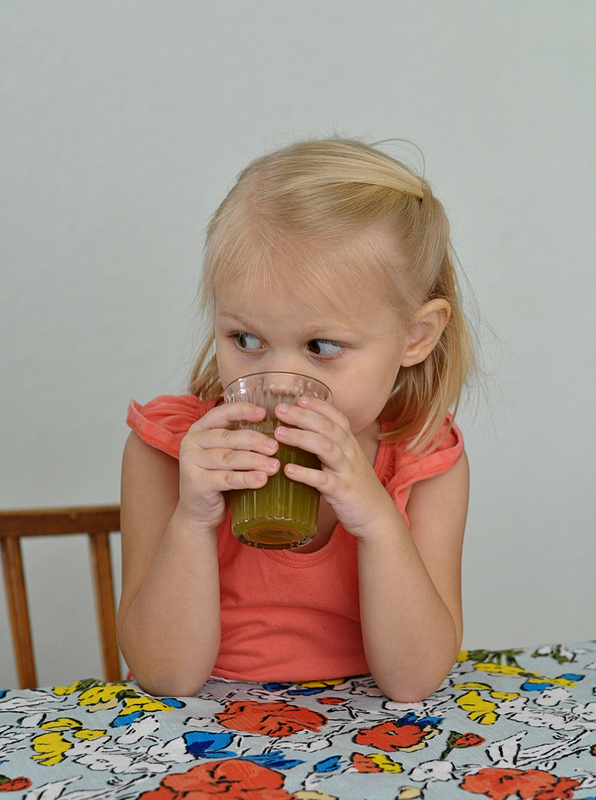 I just started serving my picky eaters green smoothies too! My struggle is my kids so not want to eat when we are sitting at the dinner table to eat. They want to run around and play. And then once I am cleaning up dinner mess and putting leftovers away that is when they want to eat and I hate it! Drives me nuts!! Hoping that now having a bigger table to eat at as a family will help out and they will start wanting to eat as a family!! That sounds so frustrating. Fingers crossed a bigger table really does help! In my job teaching nutrition in the after school program, we are pushing new foods all the time (preK-5th graders) . Here is what our resident chef suggested we say when the kids great our offerings with “I hate….” We tell them they are not allowed to say they hate something, just that they are not ready for it yet. As they grow, their tolerance and tastes change. So when offered, and they don’t want it, they are to say, “no thank you. I’m not ready for that yet.” I always introduce something new by asking who is brave enough to try it. They usually love the challenge. I’ve been successful at getting preschoolers to taste a fresh beet that way. That is such a good idea! Margot is very concerned about being a big brave kid, so I’ll have to try that one! My son is 11 months too and it’s one of my favorite stages. Keep having him try new things because you just never know! And good luck! My mom would have loved this when I was growing up. I was way more picky than I am now. But I did love peas. Ironically I’m actually drinking the purple one right now. I love the stuff. That is EXACTLY why I wrote it that way. Ha! I hope some of these ideas are helpful. Picky kids can be soooo frustrating.